Time: 10:00 a.m. – 3:45 p.m. est. Inspired by Winston-Salem’s reputation as the “City of the Arts & Innovation,” this year’s symposium will focus on the intersection of intellectual property law practice and the arts, with special attention on the employment of artistic ventures as engines for economic development in local communities. In the field of the arts, intellectual property law provides artists and entrepreneurs with the tools to protect their original works, while the business-end of the industry deals with the monetization of such ventures. By exploring the intersections of these forces at work within the arts, we can come to a better understanding as to how to facilitate artistic expression in a way that both protects creators and disseminates the work to a large audience for maximum economic benefit. Panelists, including community leaders, attorneys, and legal and cultural scholars, will present on a variety of issues, including extension of protection for copyrighted works that have fallen in the public domain, the reach of personal liability for infringement of artistic works under the doctrines of contributory and vicarious liability, intellectual property issues related to public organizations, and programs designed to employ arts as an engine for economic development. No registration is required for symposium attendance. Registration for CLE credits will take place on the day of the symposium. For more information, please contact Greer Benge, Symposium Editor. Linda Carlisle was appointed as North Carolina Secretary of Cultural Resources by Governor Beverly Perdue in 2009. As a Wake Forest MBA graduate, Carlisle is an experienced corporate executive, entrepreneur and community activist. In each role, she has excelled and shown extraordinary leadership and professional competence. Out of college, she worked for what is now Bank of America, and rapidly progressed through a broad range of positions to eventually become a Vice President/Metropolitan Director in Charlotte. 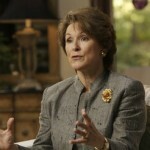 Secretary Carlisle later began her own business, Copier Consultants, which she served in the role of President until she retired in 1997 to focus on her community and educational interests. Carlisle has been a strong supporter of various community arts organizations including Triad Stage, Community Theater of Greensboro and the Greensboro Symphony. She is a persistent proponent of the arts as an economic development driver, downtown rejuvenator, and small-town catalyst. 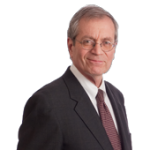 Mr. Beck has served as lead counsel in some of the most important copyright cases in the U.S. Several of his reported cases are now included in standard law school case books. As a result, Mr. Beck has been asked to discuss his cases at law schools including Harvard, Stanford, The University of Texas, Duke and other institutions and in countries ranging from Russia to India. In addition to litigation in courts throughout the country, Mr. Beck has served as mediator in a number of copyright infringement disputes involving works ranging from motion pictures to architecture, and was named a “Power Mediator” by The Hollywood Reporter. Allison Scott focuses her practice on trademark, copyright, and consumer product safety issues. 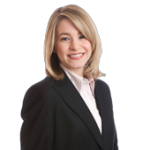 She has experience in federal trademark, trade dress, and copyright infringement litigation, international and domestic trademark portfolio management and enforcement work, and counseling in Consumer Product Safety compliance. She also regularly practices before the Trademark Trial and Appeal Board, as well as focusing her practice in entertainment and telecommunications matters. Ms. Roach served as lead counsel in representing Sony Pictures Entertainment Inc., actor/writer Adam Sandler and writer Judd Apatow, et al., in a copyright, trademark and unfair competition suit in federal court in New York. The firm successfully obtained summary judgment of copyright and trademark rights on behalf of Sony Pictures Entertainment Inc., rejecting claims of film and advertising infringements and lighting the way for the movie You Don’t Mess With The Zohan, which was affirmed in the Second Circuit. 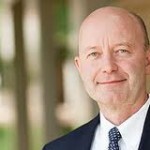 Steve Virgil is the first Director of the Law School’s Community Law and Business Clinic . Prior to joining the Wake Forest family Virgil was the former Director of a clinic with a similar mission at Creighton University School of Law in Omaha, Nebraska. He also practiced law with the Urban Development Office of Cleveland Legal Aid in Ohio and the Kutak Rock law firm in Omaha and clerked for the Honorable George W. White, Chief Judge, U.S. District Court, Northern District of Ohio. He is the founder and General Counsel of the Great Plains Environmental Law Center and former National Association for Public Interest Law Equal Justice Fellow working with the Nebraska Appleseed Center. In his free time, Professor Virgil is involved in a number of community-based arts initiatives. 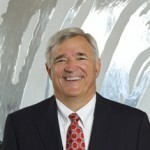 Mr. Rehm’s comments will focus on IP-related issues that organizations, such as the museums, symphonies, and other non-profit programs, encounter on a day-to-day basis in connection with their operations. Mr. Rehm will also touch on the need for more IP-related pro bono assistance from attorneys, so that these non-profit organizations may meet their important objectives and carry on their important missions, despite the significant reductions in public funding and private donations arising from the depressed economy. Woodrow Hood is an Associate Professor in the departments of Communication (Media Studies) and Theatre and Dance at Wake Forest. Dr. Hood teaches Film Studies courses as well as performance and design courses in Theatre. Over the course of his career, he has served not only as an instructor but also as an administrator including stints as a fine arts dean and chairing programs and departments of Music, Art, Dance, and Theatre. 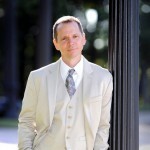 Over the past 20 years, he has specialized in fundraising for the arts, both in academia and for local, state and regional arts organizations, including work with the National Endowment for the Arts. In his presentation, ”Please, Steal My Art – Creativity and Intellectual Property Rights,” Dr. Hood will ask the question: does copyright assist or hinder creativity? Dr. Hood hopes to challenge the audience to think about intellectual property in a more complicated way that strikes a balance between ownership and innovation. 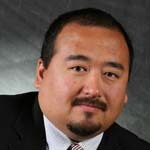 Professor Mireles teaches property, wills and trusts and several intellectual property law classes at Pacific/McGeorge. 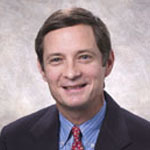 He has taught at the University of Denver, Sturm College of Law and with the George Washington University Law School Summer Program in intellectual property law at the Munich Intellectual Property Law Center in Munich, Germany. He also practiced law at the Downey Brand law firm and clerked with Judge S. Jay Plager of the U.S. Court of Appeals for the Federal Circuit. He will discuss trademark law and its ability to extend protection for copyrighted works that have fallen into the public domain, in particular a recent Ninth Circuit opinion related to the evolution of the aesthetic functionality doctrine. Throughout a distinguished career in the arts, Milton Rhodes has built an impeccable reputation for his ability to both recognize the promise in emerging artists as well as manage large-scale arts endeavors. Having previously served as the President & CEO of the American Council for the Arts, and later managing Charleston’s Spoleto Festival, Mr. Rhodes returned to Winston-Salem in 2004 and immediately laid the groundwork for the city’s artistic revival, ensuring that the arts stayed relevant even in times of economic hardship. 2009 saw the completion of an astonishing $26 million dollar fundraising campaign, which resulted in the completion of the Milton Rhodes Center for the Arts, attracting such opportunities as the National Black Theatre Festival, and establishing Winston-Salem’s reputation as “The City of Arts and Innovation.” Mr. Rhodes’s achievements highlight the qualities of leadership and ingenuity that are essential to establishing successful artistic opportunities in our local communities and beyond. From “Pretty Woman” and The Wind Done Gone to search engines, the application of the copyright fair use analysis–and in particular the first factor of the analysis–has changed significantly over the last two decades. Mr. Beck and Ms. Roach’s presentation will discuss the evolution of fair use and the transformative use doctrine and their application in the age of digital content.